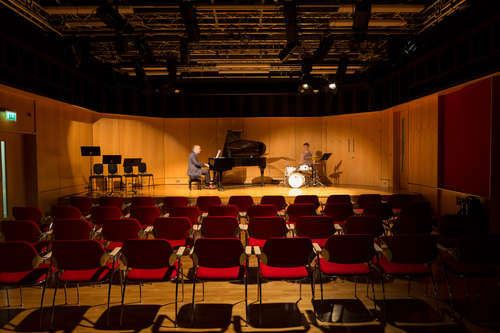 The Department of Music at City, University of London has been ranked joint first in the UK for student satisfaction. It scored a 100 per cent rating for overall satisfaction in the 2017 National Student Survey (NSS), which was only achieved by two other music departments in the country. The department also scored a 100 per cent satisfaction rating for the academic support that students received from staff, a 98 per cent rating for teaching and a 96 per cent rating for its learning community. Students were particularly satisfied with learning resources, with respondents praising their access to the department’s outstanding facilities and City’s IT and library services. Dr Laudan Nooshin, Head of the Department of Music at City, said: “We’re delighted that our students have had such a positive experience at City. There is a strong feeling of community in the department, as reflected in the survey results. “We pride ourselves in the quality of our teaching – underpinned by our world-leading research expertise – and are fortunate to have such a committed team of staff who work hard to provide students with a supportive and creative learning environment. The recent survey results come two years after the Department of Music celebrated its 40th anniversary in the 2015/16 academic year. 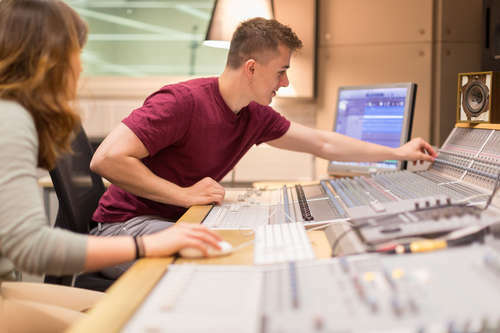 Why study music at City, University of London?